Pat Block, CNHP, N.D., D.A.Hom. I am married and have four children all of whom I’ve home-schooled up until college and are now done with college and have their own careers, three married, seven grandchildren. My first career was engineering (BS Physics, MS EE, Prof Eng Aeroacoustics) and I worked 15 years as an aerospace engineer at NASA where I designed and conducted wind tunnel experiments, collected data, analyzed the data, wrote reports, and presented my findings to my peers. I resigned because of increasing family responsibilities and ill health. How did I get into this? 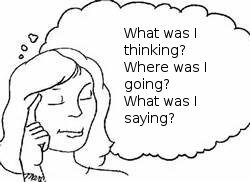 In 1990 my intermittent problem with visual memory and short-term memory loss became increasingly incapacitating. I couldn’t remember 4 digits in a row. While traveling in the car I would experience panic moments of disorientation, not knowing where I was, or where I was going. In conversation, I found myself unable to remember what I had just said and what I was leading up to, continually asking, “Now, why was I telling you this?” This affected every aspect of my life. During this time I also experienced extreme fatigue and chronic viral infections. I often home-schooled from bed and had to instruct the children from there on how to make dinner and do other household responsibilities. The cognitive disability was in stark contrast to my educational history. My mind had worked very well for me. normal conversation, remembering what I had been saying, and what point I was making. I was amazed. 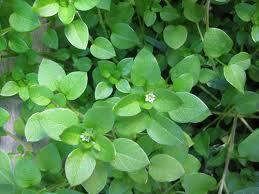 I guess I thought someone as educated as myself would surely have heard that people can eat herbs and get well. Not so, obviously (….well, it has since become apparent that the info has been supressed by financial interests that influence the FDA.) So I began searching out the people who knew these things…and the rest is history. But I am here to say, people eat herbs and get well. I started to study about herbs, their historical uses, and other alternative healing methods and began working on the health problems of my family and friends with rewarding success. My own health had been greatly impoverished but through experimenting with something natural, I discovered which ones helped my varied ailments. I have much evidence to date that had I not taken this road, I would likely not be here today. 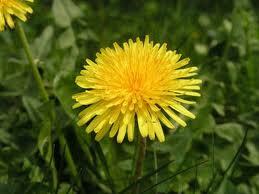 Dandelion – needs no introduction. I pursued a formal course of study since much of my cognitive ability was being restored. I obtained my Doctor of Natural Medicine (N.D.) from Trinity College of Natural Health, an accredited naturopathic school in 1994 (I’m a certified traditional naturopath CTN, not a medical naturopath.) I finished a series of classes to obtain my certification as a natural health professional (CNHP). I’ve also completed the Touch for Health series and advanced courses in Professional Kinesiology Practice, accredited through the International Kinesiology College. In February 1999, I completed my Doctor of Applied Homeopathy. I received my national certification by the board of the American Naturopathic Medical Association in 2001, and was licensed to practice naturopathy in Washington, DC (until the laws changed. Virginia doesn’t license naturopaths which is good as the government tends to taint anything it regulates). However, I value above all the education my clients gave me as they showed me how to get them well. In my office I now see from 30 to 50 people a week who are seeking something natural to feel/get better. I do nutritional counseling by appointment only. Finally, my clients taught me that stress was the major factor eroding their health and it was the same in my case. I pursued various modalities to address stress and wrote a self-help book to help them with what helped me. I do Theophostic-type and Emmanuel Intervention prayer coaching and assembled my experiences in that book. Oh, and I thought I’d answer some of the funny personal questions that my clients have asked me over the years. They were curious. You may be too. Any suggestions for ringing in the ears? Rod, this is a cascade effect beginning with inflammation that causes poor circulation and lymphatic drainage and eventually nerve damage. I have had clients resolve this or greatly diminish it as a side effect of taking the right herbs. I will keep reading till my first appointment. you mentioned that research had been done on ESR. Can you tell me where to find some of these studies? Ryan, I put the response on the ESR post. What is the name fo the site to check all the drugs out there and what they can do to you again? This link explains how to go about finding if your symptoms are caused by a pharmaceutical. I am a Traditional Naturopath in Illinois and stumbled upon your website. Pat, you are a blessing and a gift!!! Thank you so much for putting together such an amazing website. I can see that God is working through you in a major way. Thank you. Thank you. Thank you! I wanted to compliment you on your web site. If I had two lifetimes, I could absorb it all. Perhaps you know I found out I had prostate cancer last November, and am scheduled for radiology at Riverside next week. I have had some fears about that with reading a lot of stuff about after effects. I have been ruled out for surgery due to being on blood thinners. I did discover something interesting on your site or the links about Lisinopril possible causing pulmonary problems. I have been taking that stuff for 5 years, and recently developed shortness of breath. I will be talking with my doctor at the VA about that next week. In reading around your site, I was impressed about the natural products that I read about. I will be researching more on this in the coming days. As of right now, I have put the radiation on hold till I investigate it further. One ND practioner told me about Coral Calcium and Natures Pearl from Muscadine Grapes in NC. I was looking around your site and did not see anything about these two products. Don’t know if you have heard of them or not. I have read your site about asking for help and agree with it all. Very smart not to waster your time on “tire kickers”. Glad Art is doing better. In all my years doing muscle response testing NO ONE has ever tested for calcium from non-herbal sources. I have a post on that. I have Coral Calcium in my kit. Often people throw up the pH issue with cancer. Here are my thoughts on cancer and here on pH. Client info is here. Interesting, Jim, that your doctor ruled out surgery because of being on blood thinners.l have been on natural blood thinners for over 2 years for A-fib and had prostate surgery at Riverside last August with no problem. I stopped the blood thinners fora week before and a week after. My consultation policies explain everything (I think). If you are local call Brenda she will ask if you have read this first which everyone must read before making an appointment. If you are not local, follow the instructions here. Hi Pat, I was recommended to you by a friend. I have endemetriosis and was told I could not conceive, Would you be able to help? Do you think there is hope. Ultimately it is in God’s hands but I have been taking tramadol for pain and truly believe pharmaceuticals is not the way to be healthy or live. Addressing the underlying cause of why you can’t get pregnant usually results in the ability to get pregnant. A healthy woman can get pregnant. Therefore we always address health. I hate to sound trite but this has worked many times for me. Also I have found the liver to be sluggish in removing hormones from the body. It is best to make an appointment. Pat I was recommened to you by a good friend of mine because I have told by my OBGYN that I have PCOS and I am having a hard time will all the systoms and have tried the meds and they didn’t work. I am over weight and I have been tring to lose some weight without much luck and I feel tired all the time. I would like your advice on what I can try to help me deal with the systoms since there is no cure for it just dealing with the systoms. I have 3 young kids at home and I want to be able to play with them and enjoy my time with them. This is completely resolvable by addressing the underlying causes. It would be best to schedule a consult and for those options see the client tab above on the navigation bar. I just posted your website to my facebook page. I rarely recommend health related sites. The self help book link above says Sorry Page Doesn’t Exist. Might you have an updated link to post. Thank you for an extremely helpful wesite. Thank you Ruth for your kind words and for pointing out the broken link. I believe it works now. I recently have had my roller stolen and would like to replace it. I have the ACU-REFLEX SYSTEMS Hard Blue 5 ball roller. I went to the site that you posted in a comment in 2013 and they are selling for 95.00, although you said you had some. I know it’s a long shot due to it being 3 years since that post, however if you still have that specific roller I was wondering how much you would sell it for? We are looking into how to go about mailing it. The roller cost is $105. Once we find the shipping cost and you pay us (via Paypal) we will send it out. Let Brenda know if that is what you want to do [PatsOfcMgr@aol.com]. My daughter in law recommended I make an appointment due to recent health issues. Dizziness, very loud ringing in ears and fatique. I would like to schedule an appointment as soon as possible. Yes the procedure is to go to the client link and read the Consultation Policies and call Brenda.